The definition of eclectic: deriving ideas, style, or taste from a broad and diverse range of sources. You've probably heard of people having eclectic choices in music or clothing... why not flooring? One of the latest design trends we're seeing is a very eclectic mix of different flooring types, colors and styles. Put together in the right combination, this mix and match style works well and is guaranteed to be unique. Are you looking for a flooring design that's just your style? This is the trend for you. Find a common point. The key to a mix and match design style is finding a common point among all the pieces. Color, material, texture... if you can find one common point among the pieces, you can likely make it work together. Perhaps your kitchen has light oak cabinets. A dark oak floor might be just the design contrast you're seeking. Maybe your bathroom has pale blue walls - a lightly colored, water resistant cork floor and a glass tile backsplash could be a perfect way to add some texture and pizazz to the room. Common shades of the same color make different elements work together as can be seen in this room with tile, wood and an area rug. Can you really use different types of flooring in the same room? YES! 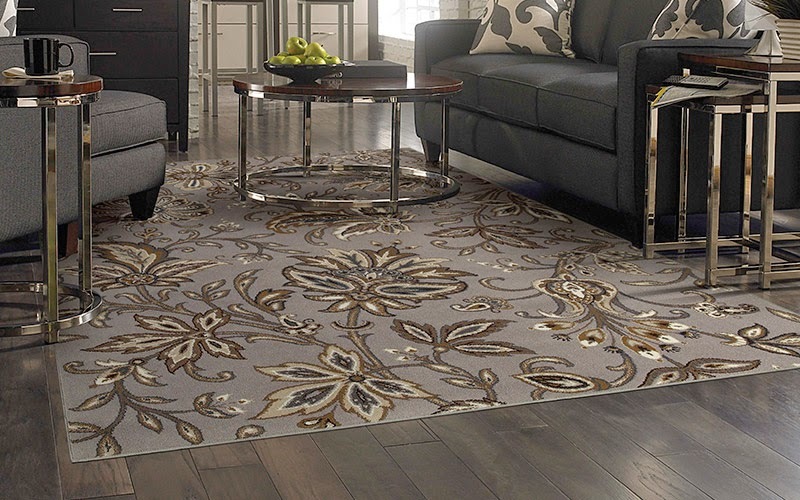 In fact, you can extend the life of a neutral carpet or wood floor by adding an area rug with some flair. The area rug can cover up a worn spot or stain or act as a new design focus which lets you update the room without buying all new flooring. Go beyond area rugs and think about defining a space (say a breakfast nook) with tile in the midst of a wood floor. Use stone tile to transition from your ceramic tile kitchen into your carpeted living room. Open floor plans make this trend even more powerful. 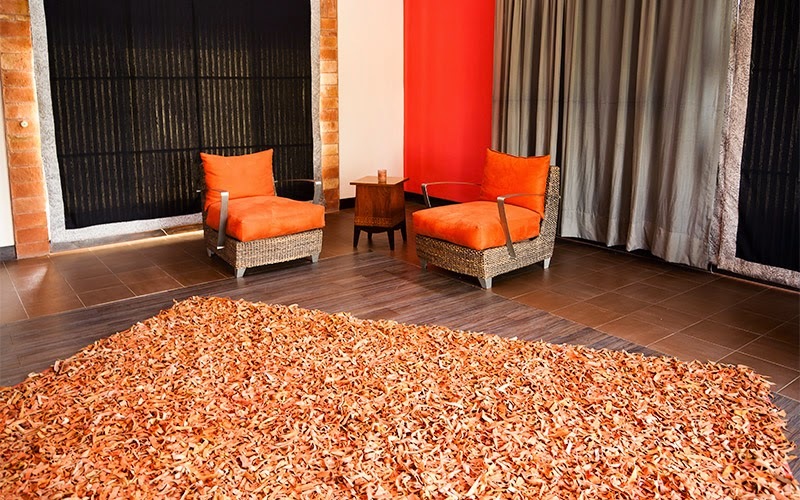 Different types of flooring help you define different living spaces without losing the open, flowing feel of your house. The possibilities and combinations are practically endless. Not sure where to start? Believe it or not, it can be as simple as your favorite throw pillow or blanket. Visit Kermans in Indianapolis and bring in something from the room that you know will stay a part of the design. Our free design staff can help you find just the right combination of flooring that reflects your own eclectic style.